Lab Supply has a great selection of treats for rabbits in our store, including Certified Fruity Bites. These treats are contaminant screened, so you can make sure that they are safe for your animals. Fruity Bites are made from a mixture of small pieces of pineapple and papaya. 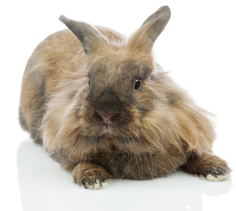 These treats are a great way to deliver great tasting, natural nutrition to your rabbits. Fruity Bites have a natural sweetness and make an excellent reward or stimulant for rabbits. If you are interested in this treat and would like more information on this great product, then please click here to view this product in our store. Here at Lab Supply, we are committed to making sure you find exactly what you are looking for. If you have any questions about Fruity Bites or the other products we offer, then please click here to visit our contact page. We will be more than happy to answer any questions you may have.